Does an Audio Engineer Have to Be a Control Freak? 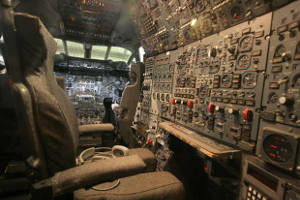 The cockpit of a Concorde – not as much control as you might think. Does an audio engineer have to be a control freak? Answer yes and you’re wrong. Answer no and you’re also wrong. Let’s explore. There are two extreme views of how an audio engineer should operate. One view says they are to be servants to the band and the pastor and therefore should do whatever is asked of them, whether they believe it’s right (or proper) or not. To that, I say that’s not being a servant, that’s being a slave. And when something doesn’t work out or fails during the service, guess who’s probably going to get the blame? The other view, much worse, is that of dictator. These engineers believe whatever they say is law and no one can tell them what to do, or even make a suggestion. I’ll be honest, these people are idiots. If you are one, hang with me a little longer. These two positions are all about control. But the result is either relinquishing responsibility and authority or holding too tight to it. In the latter, case, musicians are afraid to talk to the sound tech or don’t even bother because they know it’s pointless. This causes a rift in the church and people like my friend, Brian Gowing, are called in. In the former case, the sound tech can be forced to make concessions when they know what would sound better, or work better, for a scenario. 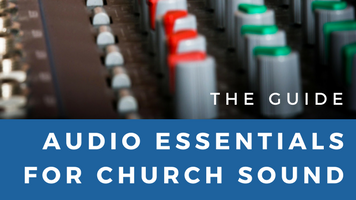 Let’s start by asking, “who are we serving?” The role of a church audio engineer is to support the needs of the congregation, musicians, and pastor(s) while using professional audio production skills to accomplish this. 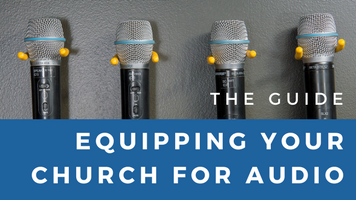 For example, building proper monitor mixes so the band can play in time and in key and focus on leading the congregation in worship. The responsibility and ownership falls on the audio engineer, to the degree in which they have control. There’s that control word. So let’s dig into this with an example. The audio engineer who WRONGLY takes total control is one who says, “I know what you should have in your monitor, so that’s what I’m giving you.” Right or wrong, that’s still wrong. The musician is on the receiving end so between the mix of channels in the monitor and the volumes, it’s the musician’s call. On the other hand, those who REFUSE to take any control are the people who will have problems with monitor mixing volume because they are always giving in to the “more me in the monitor” request. When people share a monitor, this will cause an on-stage volume war. 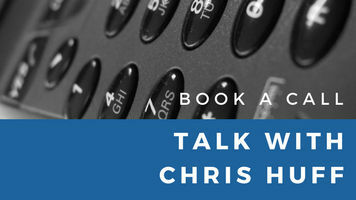 We serve by building our skills so we can provide a high quality of audio production support, demonstrated in our results, while knowing when we need to step in and say, “no,” it’s because it’s what’s best for everyone. Very little, outside of the massive amounts we control which no one questions. 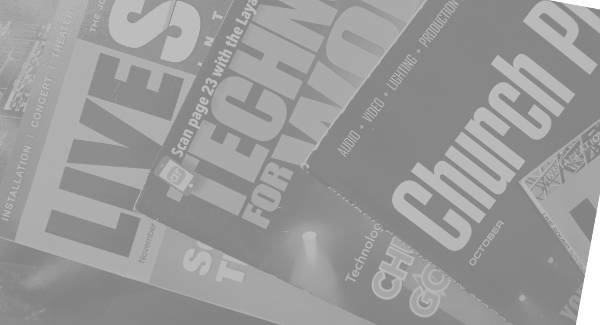 The whole production process starts with stage work; microphone selection, microphone placement, monitor placement, etc. Then it gets into our mix work. Song arrangements are a great blueprint from which to work but how we go about building those mixes is up to us. We need something that sounds great in our venue and to our congregation. We might not mix it how we prefer but we can still create a good mix the congregation loves. And that’s success. 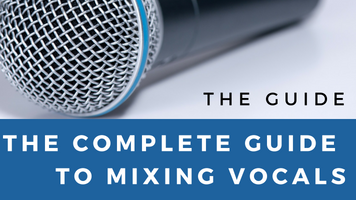 What if a musician brings in their own vocal microphone? I’ve had this happen. I’m ok with trying it out. As long as it’s not some Frankenstein monster with wires sticking out, why not? It might sound better than the mic they used last week. We can seek other options. Oh, there are times to say, “no,” but most times, when we get questionable requests, a better solution is available if we look for it and talk about it. Long ago, I read an account of piloting a plane. The idea was simple. A plane is a huge mass of steel and miscellaneous parts and it goes where it wants. You can’t control it. The best you can do is nudge it here and there so it eventually ends up where you want to be. The great pilots know how to finesse a plane into doing what they want. Dave Helmuth penned a wonderful article a few months ago that ties right into this. I wanted to ask a question from the “Pro Tips” section of your last email. Is there a difference between moving vocals up and back in a mix, and raising their volume up and down? Deanna, you can use volume and reverb to move them back and forth. For example, the more reverb, the more distant they sound but you have to take some volume change into account as well. 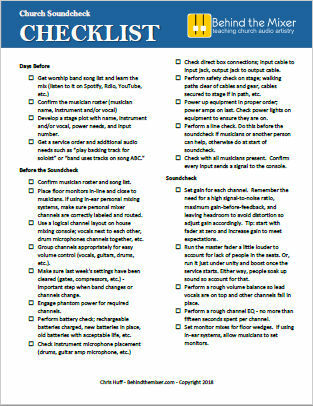 From my experience with operating sound getting familiar with the music they play is something I do each new band I mix sound for, most beginning sound techs don’t do that and don’t have a good reference to what it should sound like. Of course the band won’t sound like the recording but they can sound pretty close to the original version. We can not mix out a bad performance our job is to make the most of what the actual music is the backups are up to the singers to get in the mix if they aren’t loud enough boost them up but don’t just automatically boost just because. Vocals are priority to hear if you can’t hear it sometimes cutting guitar or keyboard makes the vocals pop. Take a listen to the original music and hear where the background singers are in the mix, the words they sing are the most important thing to hear clearly. I run a subgroup for backups but the background singer sometimes gets out of control and dynamics of the singers are hard to control especially when you have 10 musicians to mix at the same time. 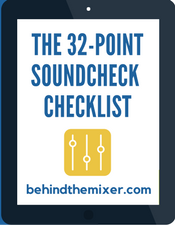 Mix for the moment if I think the backups aren’t sounding like the recording then I adjust to make it fit but we can’t control someone who doesn’t know how to blend if their not a well rehearsed section then you should mix the best way for the audience. I mix for bands with and without floor monitoring and IEMs ( in ear monitor) having one monitor mix to share is doable but not preferred for many people don’t like the way other people want a mix to sound like. Compromising isn’t easy but sharing one mix has to be able to get everyone to be able to hear the most important part of the songs the vocals. We sound people are an extension of the music and we want the audience to hear everything clearly but not blasting out loud so before you reach for the boost try to cut overall volume of instruments that are competing with the vocals. Musicians that don’t learn their songs and buy equipment and never take the time to learn how to use it are the biggest problem I face. Secondly not enough rehearsal for the band is the other problems with the flow of the songs and show. Once you identify the person or persons who have the “more me syndrome ” deal with them but never let them tell you how your going to mix or you’ll end up mixing everything really loud and annoying everyone else. There’s no I in team and there are no I’s in band. Recording your mix is a great tool for everyone who wants to improve but remember you were mixing for the moment and room so take it with a grain of salt. Take time to learn how to operate your system enjoy what you do and be a positive person who gives the band and audience the best they can and don’t let the naysayers pass judgement on your mix I’d like to see ha ha and hear them operate the mix better. Lol……….